Depicted to the left is a painting of St Louis holding the Crown of Thorns by Le Sueur (image courtesy Canadian Conservation Institute). The Order of the Crown of Thorns was founded by authority of St Louis in 1239. A later French King, Philippe IV le Bel, (who reigned from 1285 to 1314), the grandson of St Louis, laid the first foundations of the Order in direct opposition to the Order of Templars, which he dissolved in 1308, appropriating all its wealth; all the spiritual and chivalric ideology of the Templars survived in the new Order, of which King Philippe IV became the first Grand Master. With the fall of the Monarchy in France, all Orders of Knighthood in that country lost their right to formal organisation. Some, however, remained in secret existence and so did not die out; amongst these was the O.C.T. [In 1891], His Holiness Peter [IV], the then Patriarch of the Apostolic See of Antioch, authorized the re-establishment of the formal and official organisation of this Order. It has thus maintained its existence unbroken to the present day. The ancient Abbey of San Luigi (St Louis) was re-founded on his Feast Day, 25th August 1883, on the frontier of Tripoli-Fezzan in North Africa. The colony by its constitution was independent and known as The Principality of San Luigi, the Rev. Father Henrice Pacomez being elected as the first Prince. By Decree of 15th October 1883, he organized an Order of the Crown of Thorns and the Order of the Lion and Black Cross, but in 1899 this branch of the Order submitted absolutely after recognising the priority and legitimacy of the Order under its then Grand Master in America. Thus there is only one Order of the Crown of Thorns extant in the world today, with a history extending back some 700 years. The King St Louis, accompanied by his mother, Queen Blanche, and his wife, Queen Marguerite of Provence, and his three brothers, met the holy relic at Villeneuve l’Archeveque on August 10th, 1239. The King first venerated it, followed by the Princes of the Court and of the Church, and the priests, monks, soldiers and the common people. It was the picture of a nation melting into tears, hardly daring to raise its head to look upon that cruel branch of thorns which cruel men had twisted into a crown of derision for their Divine Victim. Thereupon Louis IX carried it himself, barefooted, to Paris. For its final reception, the King built the Sainte Chapelle, which was completed in 1248. In memory of this great event, he gave replicas of this famous relic to his barons. The Crown of Thorns is now kept in the Treasury of Notre Dame Cathedral. Thus what was written of Paris is still true. According to St. Paulinus of Nola (A.D. 409) the Crown of Thorns that was placed on our Lord’s head was first kept at Jerusalem. Later it was removed to Byzantium, probably in the year 1063, in keeping with the dignity and status that city had obtained as one of the five Patriarchates of the Church. Less than two hundred years later, the Byzantine Empire, pounded by the onrush of Mohammedanism, began to fall apart. In order to support his cause of empire, the Byzantine Emperor, Baldwin II, sought and obtained assistance from the Kingdom of Venice, with the Crown of Thorns being given and accepted as collateral security. Though Baldwin repaid his debt, Venice refused to return the Crown of Thorns. Then in 1238, Baldwin II offered this sacred relic to France in return for further assistance. Thereupon it was redeemed from the Venetians and brought to France in early 1239. The Holy Thorn now in the keeping of the Benedictine nuns of Stanbrook Abbey, England, is one of the largest relics of the Crown still known to exist, comparable in size and similar in appearance to those at Pisa, Trevos, Wevelghem, Munich, Andechs and Le Villars. All are from branches of the plant called ‘Zisyphus Spina Christi,’ which grows commonly around Jerusalem; this identity of species between so many different fragments preserved for centuries in places so far apart, is in itself a strong argument in favour of the authenticity of these relics. About a hundred single thorns also remain in various places. This branch was also venerated at Glastonbury Abbey during the Middle Ages, though the documentary evidence of how it reached that holy place has disappeared. It is known, however, that in the 10th century the Emperor Otho I made a similar gift to King Athelstan, who gave part of it to the Abbey of Malmesbury. Divisions of the relic had thus been made before the band or Crown of rushes, into which the thorns were fastened to form a kind of cap, was brought from Constantinople by St. Louis in 1239. After the dissolution and plunder of the monasteries in 1539, the Holy Thorn referred to above seems to have been preserved in some Catholic family living near Glastonbury. It was brought back to the Benedictine Order by Fr. Peter Warnford, a monk who died in 1657. A few years later, enshrined in a handsome reliquary, it was placed in a Chapel in London served by the Benedictine Fathers. On the outbreak of the Titus Oates’ Plot in 1679, the Chapel was dismantled and the relic was again hidden for safety and remained so until discovered about 1822. Thence it passed to Stanbrook Abbey. It may also be of interest to mention that a relic, not of the Crown itself, but a thorn claiming to be taken from the same bush as that from which the Crown was made, was once in the possession of Fr. Ignatius of Llanthony*. This was preserved by one of his monks, after Fr. Ignatius’s death, and is now kept in the Chapel of Steenoven Mission House, Highbury, North London**. The Certificate with the relic states that at the time of the Crusades, a spray of thorns from the bush was purchased for an immense sum of money and brought to England, where it remained in the possession of an old and famous Catholic family; by whom this particular thorn was removed from the spray and enclosed in its present container, and given to the Baroness Bertouche, for the express purpose of presenting it to Fr. Ignatius. This Certificate is signed by the Baroness herself. The re-foundation of the Order traces its inception to the year 1880, when its regulations were prepared and submitted to the Syrian Orthodox Patriarch of Antioch, Ignatius Peter III/IV (pictured right), who was also responsible for authorizing the consecration to the Episcopate of the fifth Prince-Abbot, Archbishop Joseph-René Vilatte (Mar Timotheus, Prince-Abbot Joseph III), in 1892. The petitioner for this re-foundation was the Revd. Gaston Jean Fercken (1855-1930) who had in 1884 been ordained priest in the Protestant Episcopal Church of the United States of America and was rector of Emmanuel Church, Islip, New York, between 1884 and 1892, and subsequently of St Stephen’s, Portland, Oregon between 1892 and 1894. Some eleven years elapsed following Fercken’s petition before the Patriarch eventually re-founded the Order on 1 June 1891. The powers granted to the Order of the Crown of Thorns by the Patriarch included those of conferring titles of nobility. Grand Master Fercken worked closely with Mgr. Vilatte, whom he had come to know through Arthur Cleveland Coxe, the Episcopalian Bishop of Western New York, during the early years of the Order. In a ceremony in Colombo, Sri Lanka, on 30 May 1892, Mgr. Vilatte, acting on a mandate from Fercken, conferred the Order upon Syrian Archbishops Mar Julius I Alvarez of Colombo, Mar Athanasius Kadavil of Kottayam and St. Mar Gregorius Geevarghese of Niranam. Additionally, the Order was conferred on William Morey (1837-1908), the United States Consul at Colombo (serving from 1877-1907), who had formally witnessed Mgr. Vilatte’s consecration; it was the American Consulate that bore the expense of this ceremony. 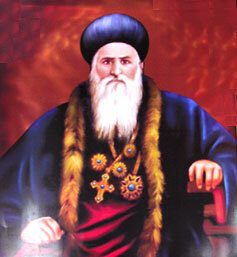 In 1892, the 1922 History relates, “Patriarch Ignatius Peter III, the successor of St Peter, sent for Mar Timotheus I, who had been consecrated metropolitan archbishop for work amongst the Orthodox Catholics in America by Julius I, Archbishop of the Syrian Church in Ceylon, in accordance with the Bulls issued by the Patriarch, and conferred upon him the Grand Mastership of the Order of the Crown of Thorns, and intrusted to him the regulations of the Order.” Whether or not this act was undertaken with Fercken’s knowledge and consent is not clear. In any case, on 30 May 1893, Fercken resigned the Grand Mastership so far as he was concerned in favour of Mgr. Vilatte. 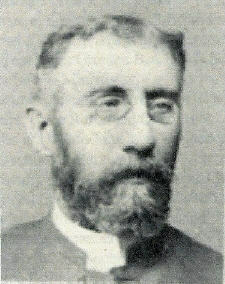 He and his family left the Episcopal Church and were accepted as members of the Church of the Brethren in December 1894; they then moved as missionaries to Smyrna, Turkey, where he was to administer an orphanage for the Brethren, he having also been ordained to the bishopric in that body in 1895. In the American version of the Statutes of the Order this was described as a transfer “for entirely personal reasons…[he] transferred [his] charge of Grand Master of the Order to His Grace J. René Vilatte…whose wisdom, influence and social position will shed a greater lustre upon an Order still young, but destined to rival those of a glorious past…” In the French version of the Statutes from 1900 Grand Master Fercken is “written out” entirely and it is instead stated that Mgr. Vilatte received the Grand Mastership directly from the Patriarch of Antioch (presumably through the 1892 conferral). This was perhaps due to some embarrassment at Fercken having meanwhile decided to become a member of an overtly Protestant body outside the Apostolic Succession. Therefore, Prince-Abbot Joseph III united the two branches of the Order of the Crown of Thorns with the Abbey-Principality of San Luigi, the Order of the Lion and Black Cross and the Grand Prix Humanitaire de France et des Colonies when he received these in 1899. He went on to make numerous appointments to each of these bodies. *He was ordained priest by Prince-Abbot Joseph III. **Formerly (from 1974) at 23, Drayton Park. These premises were subsequently sold by the Old Roman Catholic Church of Great Britain and the present whereabouts of the relic in question is unknown.